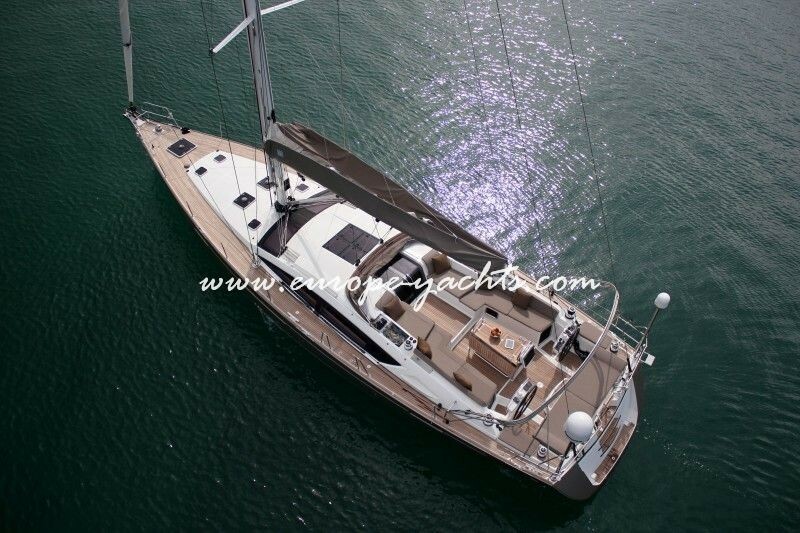 The Jeanneau 57 is an attractive offshore cruiser providing superior interiors and a deck plan designed to ensure ease of handling and guarantees a highest quality sailing experience. 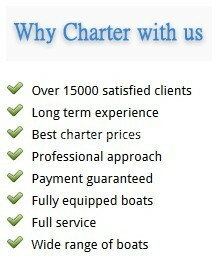 Sailing in Greece with this sailing yacht charter Jeanneau 57 will be unforgettable. 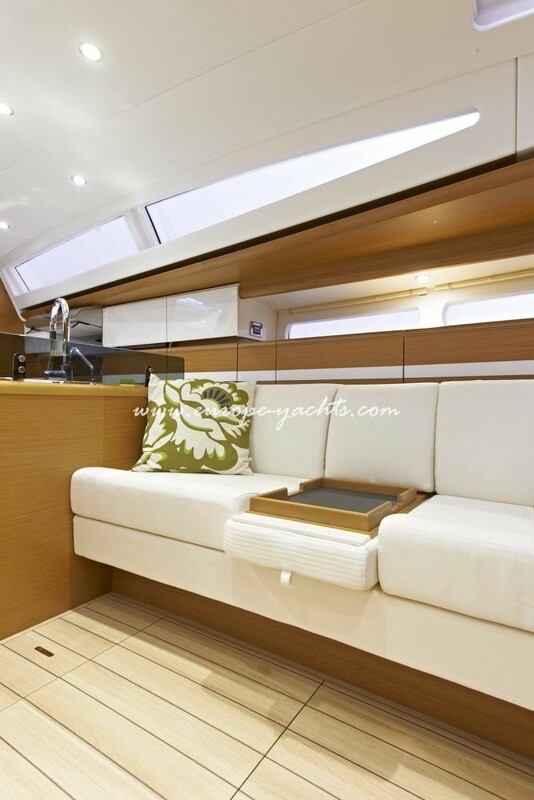 This Jeanneau 57 cruiser boasts a new style of contemporary interiors reflecting a long nautical heritage. 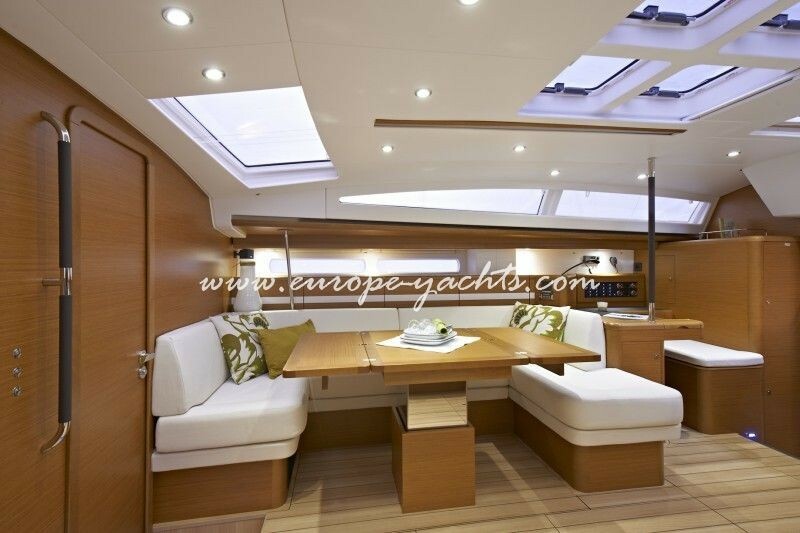 Rich materials are found throughout including leather, blond teak flooring and stainless steel, while sleek windows and skylights flood the interior in light. 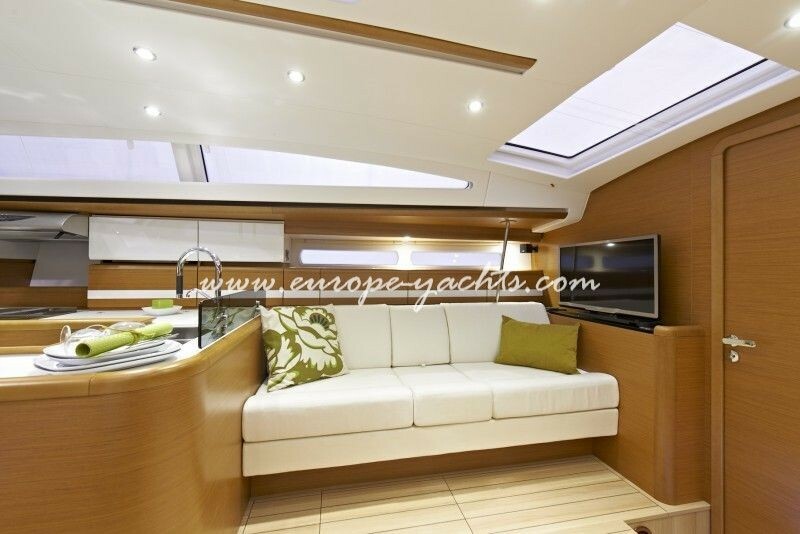 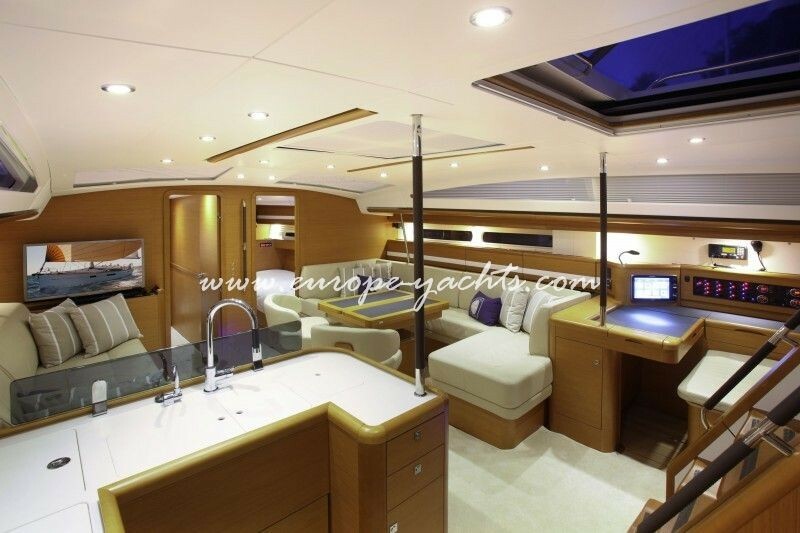 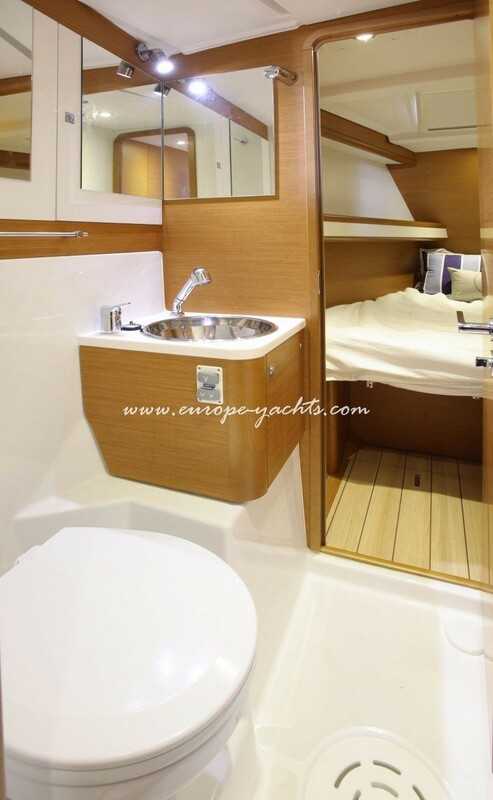 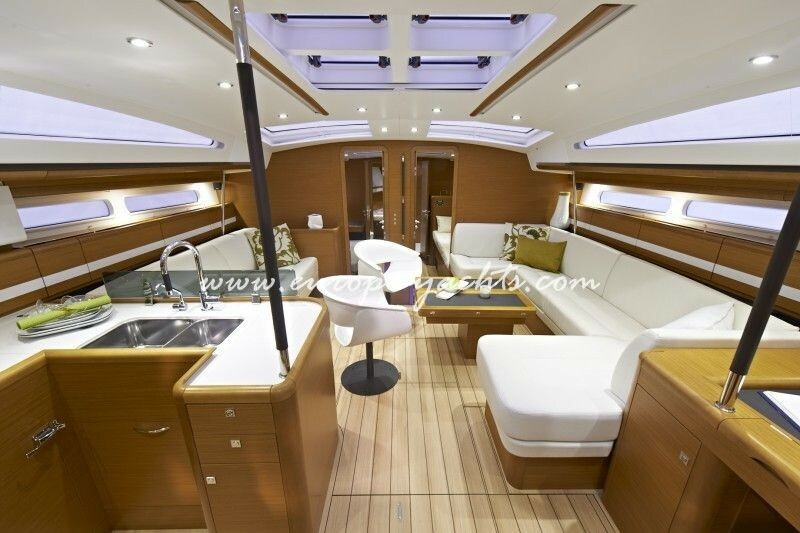 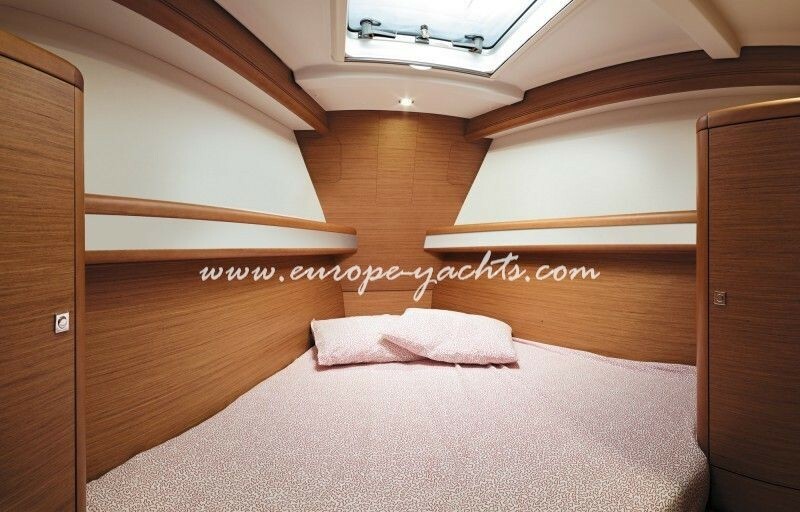 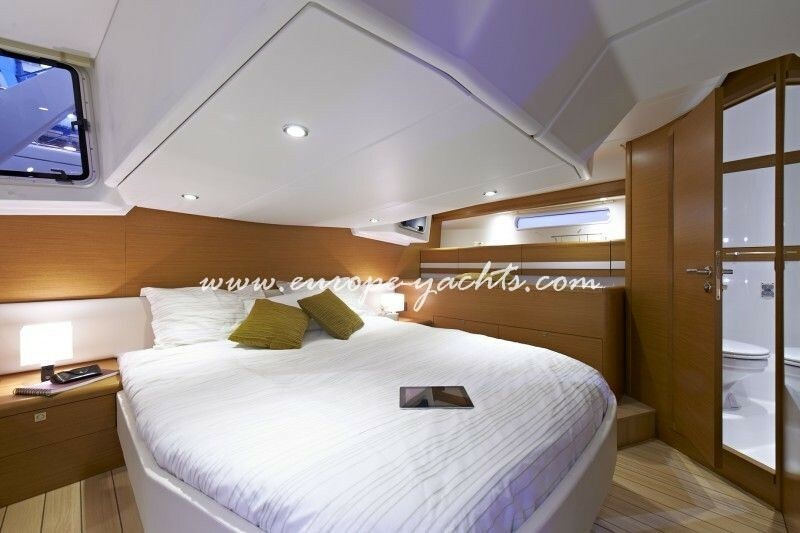 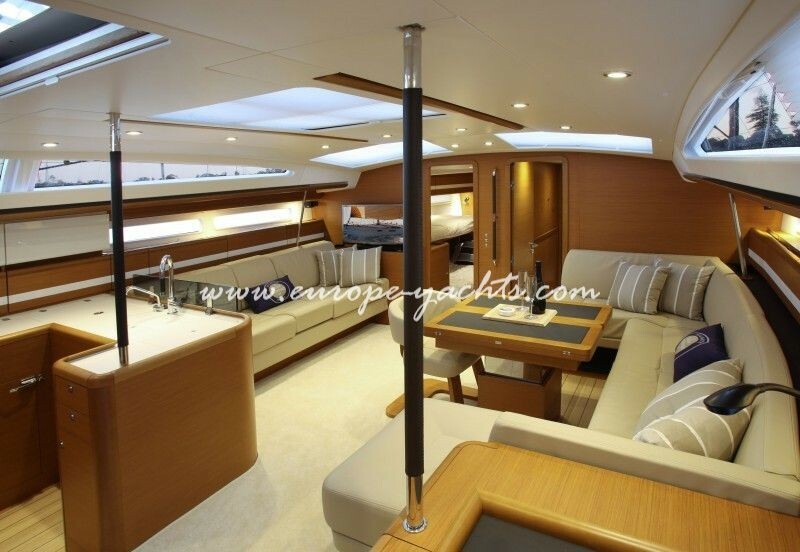 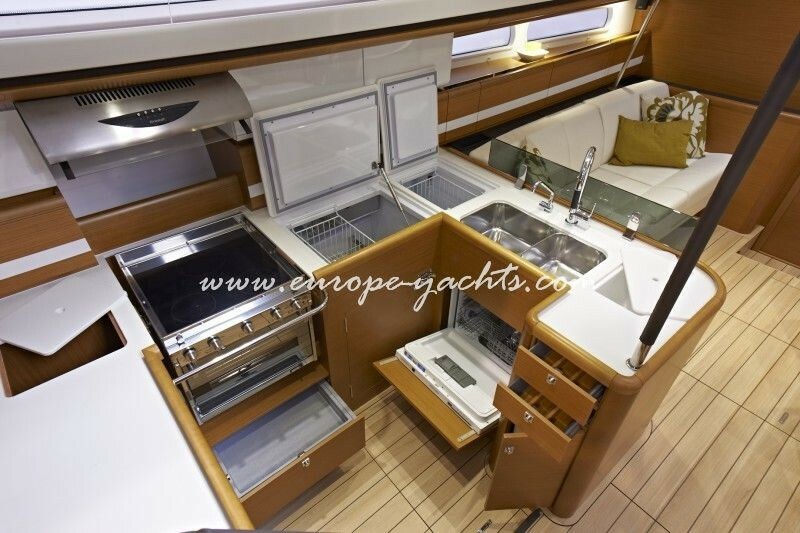 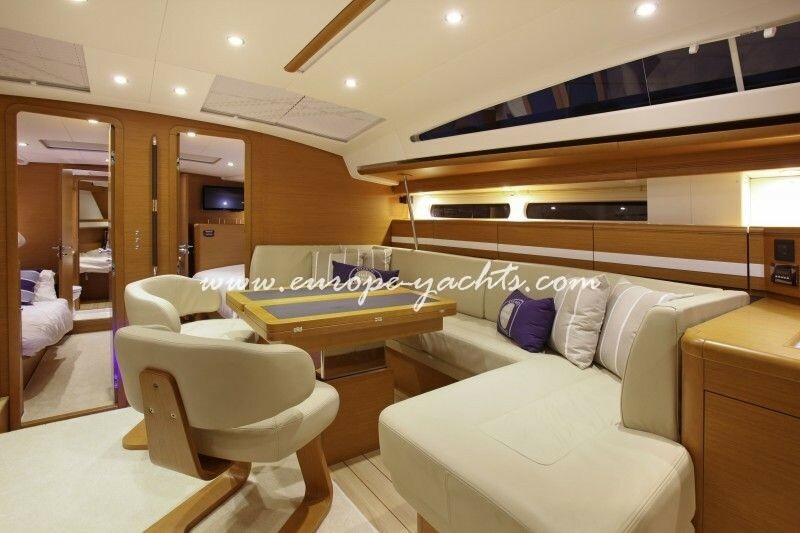 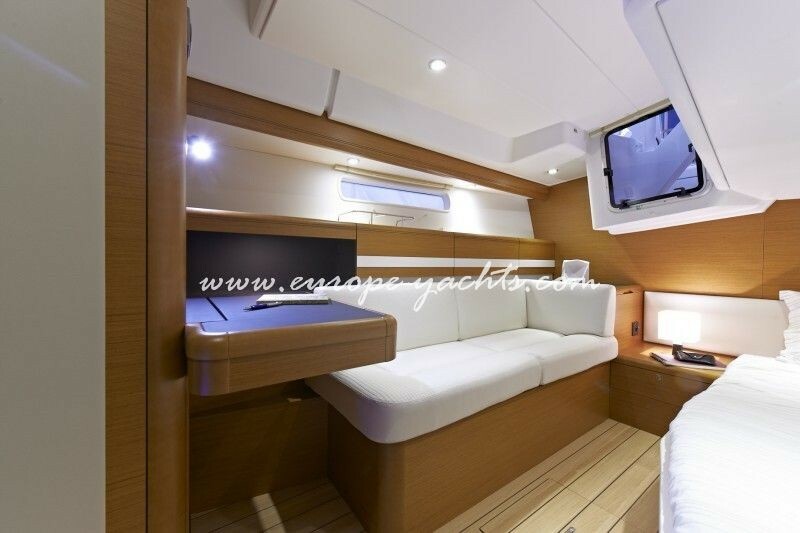 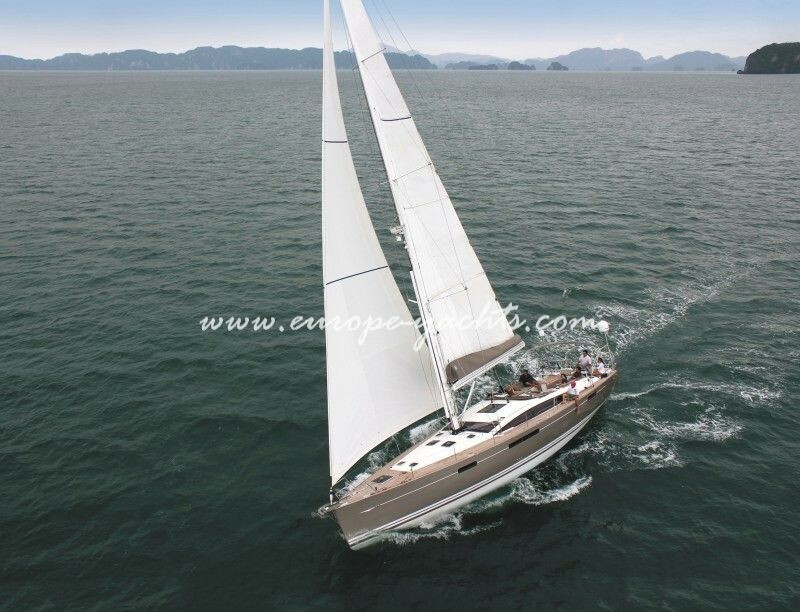 If you are looking for a high level of comfort as well as high performance this sailing yacht won’t let you down. 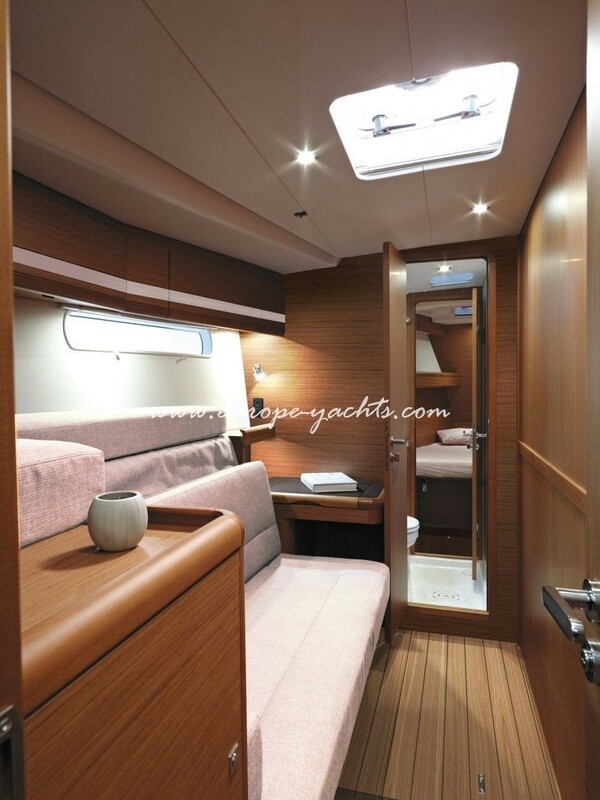 It features two steering wheels and all navigational aids in cockpit for easy handling. 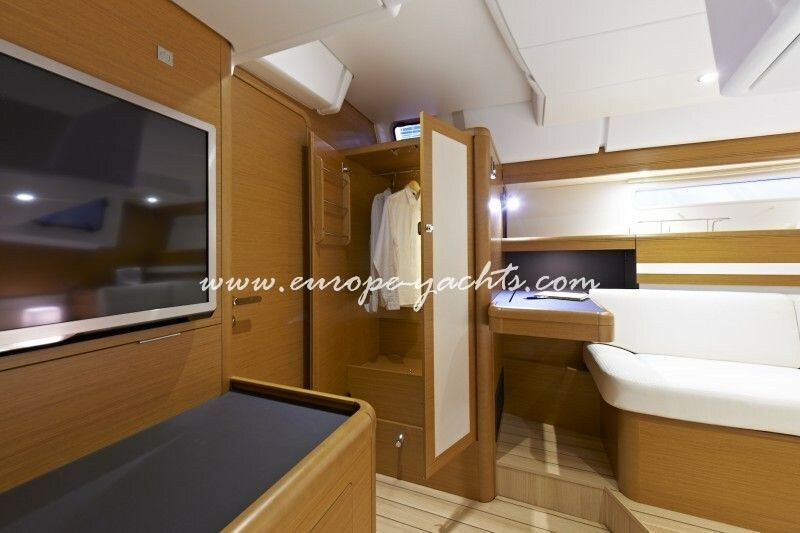 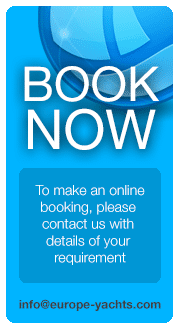 It consists of five spacious cabins, four heads with shower, ergonomic galley and luxurious dining and lounging areas making every moment onboard enjoyable and memorable. 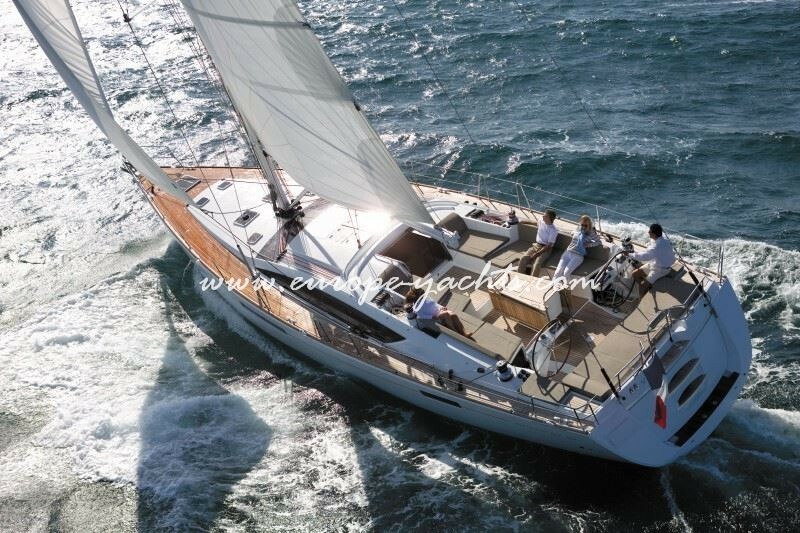 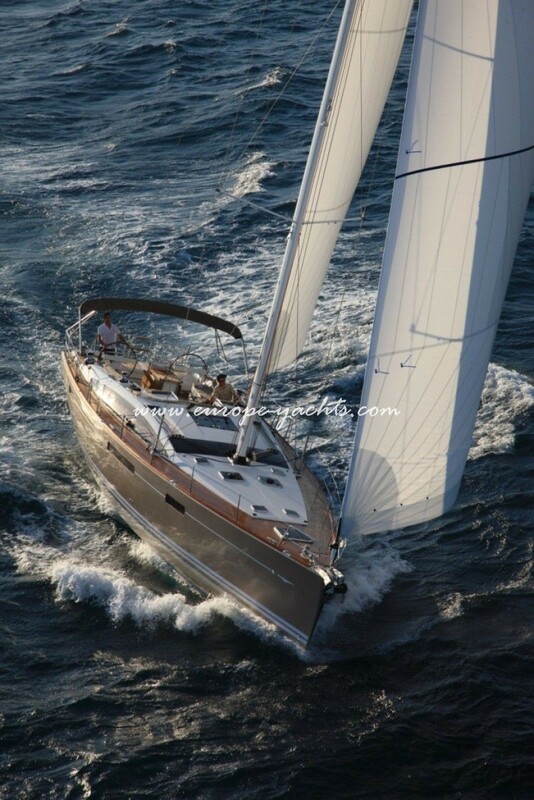 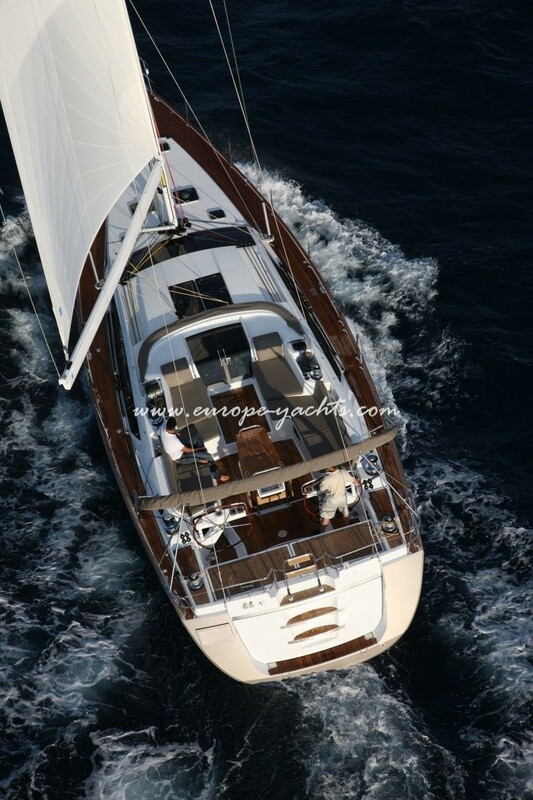 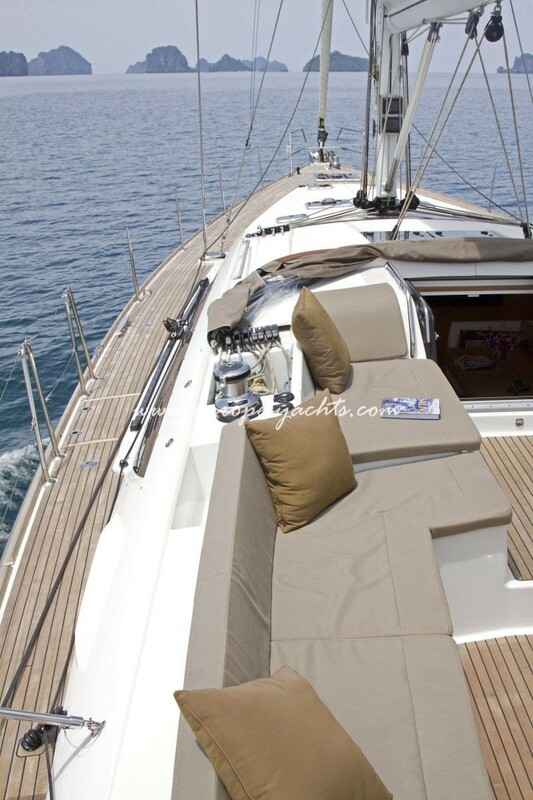 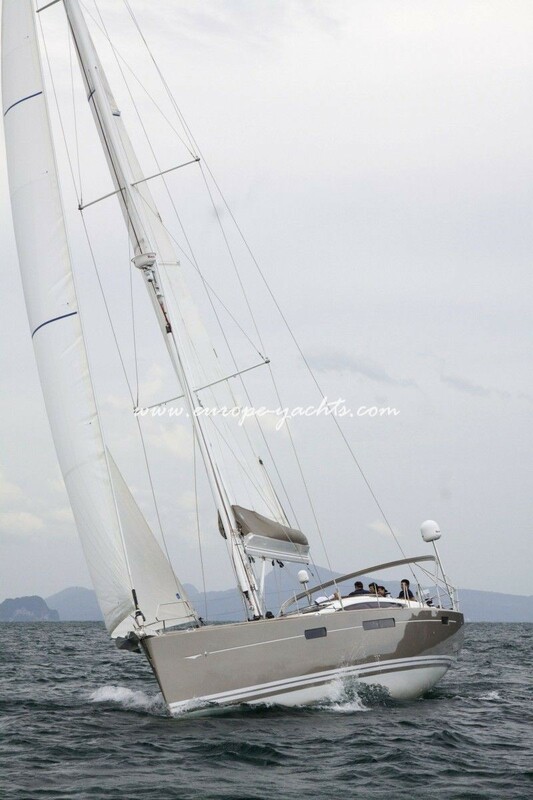 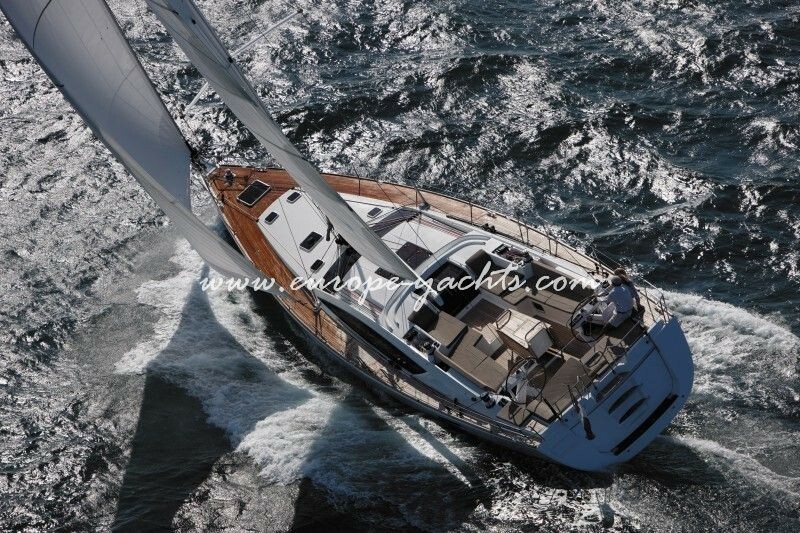 Charter this elegant sailing yacht Jeanneau 57 and enjoy your holiday sailing in Greece!